COLONIE — On Senior Night, Monday, Feb. 11, the Shaker girls got by Guilderland by a score of 62-55. 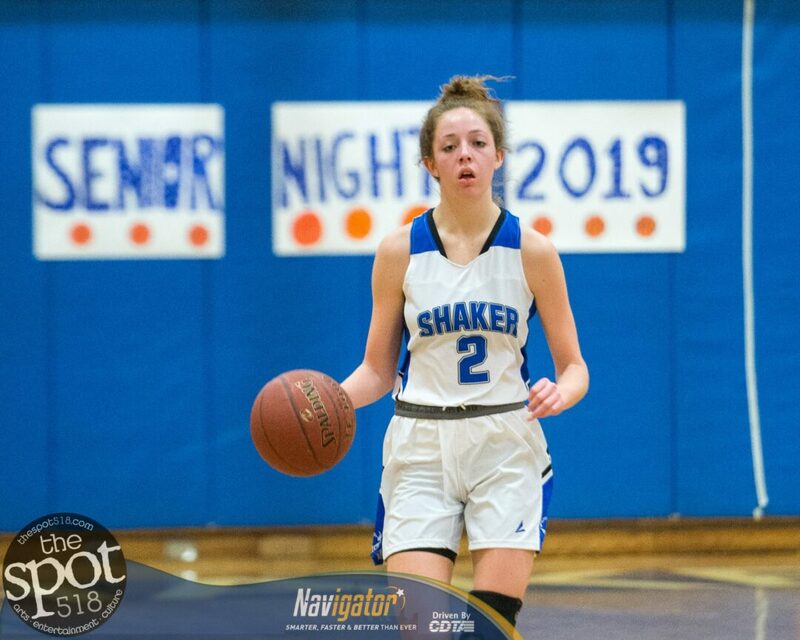 In a physically played game by two evenly matched teams, Shaker held on for the win in the final regular season Suburban Council game for both squads. For Guilderland (9-7, 12-7) Graci Serravillo led all scorers with 24, Valencia Fontenelle-Posson had 14 and Jamie Golderman had seven Grace McFerran had five points while Graycen Dubin had three and Alana Holmes had two. Sectional brackets should be announced later this week.